The status of a photograph was in question since the invention of photography. Photograph manipulation dates back to the 19th century. It was soon after the creation of photography. Previously it was done by ink, airbrush, bleaching or scratching. The alteration could be for deception as well. Before the advent of digital technology, it was done in a dark room during developing. DNA Forensics Laboratory Pvt. Ltd. provides Photograph Identification and Verification by Forensic Experts for crime investigation. We are now living in a world where billions of pictures are uploaded every-day. With digital media playing a vital role now, the question still remains the same. In fact the challenge has intensified. DNA Forensics Laboratory Pvt. Ltd. has an expert team for photograph and image investigation. We analyze the photograph, examine it and verify its authenticity. Photograph verification has played a crucial role in property cases, ID Cards, insurance frauds, kidnapping and other areas where digital or physical photograph is used. Our experts check the authenticity of the photograph and examine and match the features. Examination of blurred pictures, edited photographs, verification of digital photographs, verification of photographs from negatives, verification of photograph on wills, examination and recognition of photograph from CCTV footage is also undertaken. DNA Forensics Laboratory Pvt. Ltd. also tells if the image is actual or fake. Experts using software and their expertise in this field do this verification. Our experts can also recognize a person from a digital image, video or picture. Photograph verification has gained popularity as is now being used as a major identification tool. You can simply compare it with a database. In certain cases our experts extract the main features form the subjects face like eyes, nose and jaw placement and can search for images matching with it. 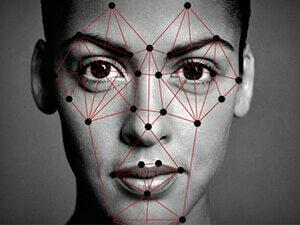 3D technique for face recognition has been introduced recently. It is used to identify the distinctive features of the face. It is not affected by changes in lighting. We can also capture the details of the skin. This may be unique lines, patterns or spots. This increases the performance of photograph recognition. Please feel free to call our Forensics expert for any further communication at +91 8010177771 or you may schedule an appointment with us by WhatsApp us at: +91 9213177771.